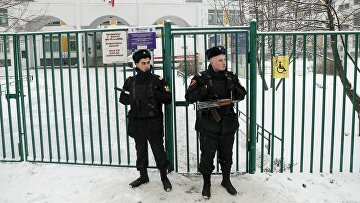 Probe opened after Moscow student’s threats to cut himself in school building | Russian Legal Information Agency (RAPSI). MOSCOW, December 6 (RAPSI) – A criminal case was opened following a morning incident in one of Moscow schools where a student came with a knife and threatened to cut himself, the Investigative Committee’s Moscow Directorate reports Thursday. Investigation is underway. Experienced investigators are working on the scene. Officials of the school and certain bodies will be checked for negligence. Moreover, investigators will inspect the teen’s living conditions, the statement reads. On Thursday morning, a senior pupil brought a knife to his school in southeast Moscow, threatened teachers and expressed intent to cause bodily harm to himself. According to the official information, there are no injuries. All students and teachers were evacuated, and the teenager was transferred to the law enforcement authorities in the presence of his parents.